With the demand for quality people at an all time high, executive search ‘headhunting’ is the most influential and successful form of executive recruitment. By working out of sight of public scrutiny, by accessing our vast network of contacts and by making direct confidential approaches, Charlesworth Kennedy leads in the search for executive talent in the U.K. and mainland Europe. As skilled executive search professionals, the team at Charlesworth Kennedy attract the highest quality executive talent ready for your organisation … from mid-management professionals to C-list industry leaders. Perhaps you are considering how to dramatically improve your policy and procedures for mid and senior level recruitment or to increase the quality of people that your organisation acquires. You may wish to reduce your recruitment costs and achieve far better value from a trusted recruitment partner. Talk to Charlesworth Kennedy and receive solid, unbiased advice on meeting your recruitment needs whether by a general search or direct confidential approaches to industry professionals. The process of headhunting is not difficult to understand, but requires skilled practitioners to succeed. Our many clients, familiar with our single-minded approach, know Charlesworth Kennedy repeatedly delivers high quality executive professionals. We deliver a sharp, effective and seamless recruitment solution in the areas of strategic management, sales, marketing, technical delivery, engineering and design, operations, logistics, procurement and management leadership. Because of our continuous forensic identification and systematic tracking of skilled industry professionals we can deliver specialist, mid management and C-List board level professionals … confidentially and sensitively. All our consultants have a comprehensive understanding of corporate business, both from a traditional recruitment as well as commercial perspective. They have an in-depth understanding of their industry sectors, the needs of our clients and what is required of any successful search campaign. We will focus heavily on understanding your business clearly, in order to represent your organisation in the most effective manner. Candidates will be chosen based, not only on their personal abilities and skills, but also their ability to enhance the culture and atmosphere of your organisation. We will agree a clear understanding of your recruitment needs, the recruitment process, the job profile and the qualities needed by all serious contenders. Once we understand your organisation, the skills you will demand and the candidate profile we will go to work. We will use our extensive candidate data, forensic knowledge of your industry as well as confidential and sensitive approaches to highly skilled professionals to compile a long list of possible contenders. Individuals whose skills, experience, reputation, history and achievements closely match or exceed the role specifications are meticulously identified and isolated. Having continuously tracked industry high achievers, we will compile and verify the current status, recent achievements and availability of all those we identify as shortlisted contenders. The approach, the introduction and interview process requires skill and sensitivity to ensure the demanding extraction process is seamless, delicately handled and precise. Communication, interview procedures, management of expectations, resignation periods, offer negotiations need careful handling to seal the final delivery of the chosen professional. During the whole process Charlesworth Kennedy were thoroughly professional, highly developmental, solution-oriented, co-operative and communicative … Their team performed to the highest standard. 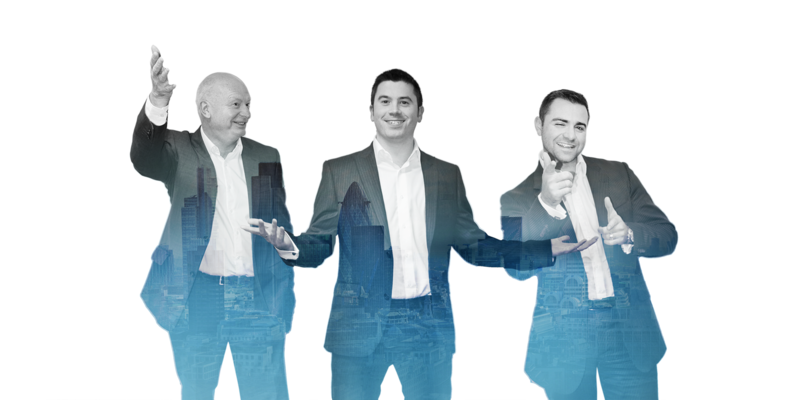 We have become to think of the organisation as our outsourced recruitment partners … and as a consequence of their high standards and transparency, they have become embedded within our senior team. We have used Charlesworth Kennedy over the last three years for all our specialist and senior appointments … a very efficient and professional organisation who always take the time to understand our recruitment needs … They have a very good contact base within the industries they work in and we know we will get the strongest candidates … Charlesworth Kennedy take the hassle out of the recruitment process from start to finish. To date Charlesworth Kennedy have found around 15 of our specialist people. Their knowledge of our industry is second to none and they have an uncanny knack of suiting candidates to roles. We have recommended Charlesworth Kennedy to many multi-national organisations for their recruitment needs and will continue to do so … We trust their judgement without question. We initially used Charlesworth Kennedy for a difficult sales role we couldn’t fill. Their response was so good, we have continued to use them for all our sales and senior recruitment needs, always successfully … Their understanding of our needs and their ability to seek out excellent people is truly remarkable … They are now viewed as the recruitment arm of our company. We recently utilised Charlesworth Kennedy to identify and recruit a key Sales Management position for our Business Aircraft Maintenance Repair and Overhaul (MRO) operation. The level of professionalism and service offered by the CK team was of the highest standard, subsequently resulting in a successful and timely appointment for the required role. I would have no hesitation in using CK again in the future for our executive recruitment support needs. It has been a pleasure to deal with Charlesworth Kennedy. They kept us informed at each stage of the process, without being too persistent! We would recommend them for anyone looking to fill a sales position. In my vast experience of senior management recruitment over the years, Charlesworth Kennedy are amongst the best of the best that I have encountered. For our recent recruitment & selection process I chose Charlesworth Kennedy. Extremely professional, and thorough. The calibre all the candidates was of a very high level and we were able to select an excellent candidate. I would wholly heartedly recommend Charlesworth Kennedy to deliver the correct candidate for an executive position. Diligent, professional and thorough.